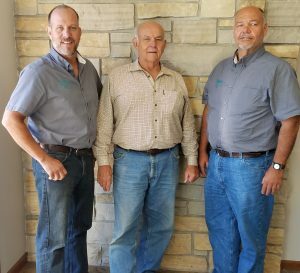 About Us - RJ Kuhn, Inc.
RJ Kuhn is an Oswego-based plumbing, heating, air-conditioning and remodeling contractor that serves homes and businesses in DeKalb, DuPage, LaSalle, Kane, Kendall and Will Counties. in 2012. It is and always will be a business where excellence is expected of us because it is a principle of the family name. The business has grown from a one-man shop to 15 employees today. With current, thorough training in their areas of expertise, RJ Kuhn specialists have the knowledge and resources to solve even the most challenging problems. In addition, we maintain a complete supply of specialty tools and equipment that allow us to make repairs where replacements might have once been the only option. This capability has often saved our customers hundreds or even thousands of dollars. RJ Kuhn’s widespread reputation has even led to referrals from and work for our competition through the years. In May 2008, Chicago magazine recognized the company for providing good service at a reasonable price, rating RJ Kuhn as one of the top 24 Chicago-area plumbers. RJ Kuhn Plumbing Heating Cooling, Inc. holds all required plumbing and septic installers licenses as well as back-flow certification. We are also proud members of the Plumbing Contractors Association. Contact us at 1-800-FIX-DRIP or (630) 554-3336 whenever you need plumbing, heating, air-conditioning and remodeling service for your home or office. We’ll be here when you need us. Thanks, I appreciate your prompt service.